A landlocked country between China, Vietnam, Cambodia, Thailand and Myanmar, Laos is enjoying a renewed economic development thanks to its strategic position between strong neighbors and new projects for hydro-electricity. Aiming at helping local businesses and foreign companies, the Lao government has set an attractive tax system. Laos heavily relies upon its natural resources and hydroelectricity for its economy. Its renewed economic dynamism in industry also pushes the construction industry. The tourism industry is also benefiting from a new interest in the Lao culture and its UNESCO World Heritage sites. 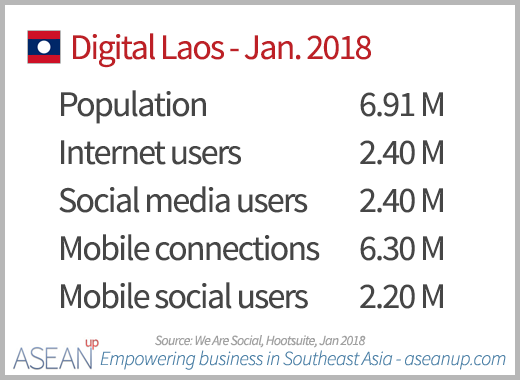 The improving infrastructures and spread of mobile phones have helped Laotians to access the Internet and digital services. With low trade volumes, Laos aims at more trade through the development of industry and improved exploitation of natural resources. Engaged into the long-term development of Laos and integration in the global economy, the Lao government is committed to developing trade. It has therefore created an online trade portal, available in English, to help businesses and people in their trading operations in and out of Laos. 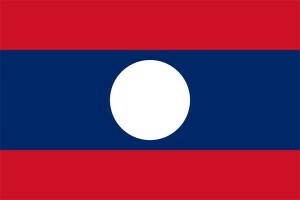 Here are the flag and emblem of Laos at various sizes to be used in your website, blogs or other visual presentations.